The Night Shelter's Grand Opening. BOYD ROAD – Those with no other options on wet winter nights now have hope of a safe, clean, well-lit place to make it through to the morning. 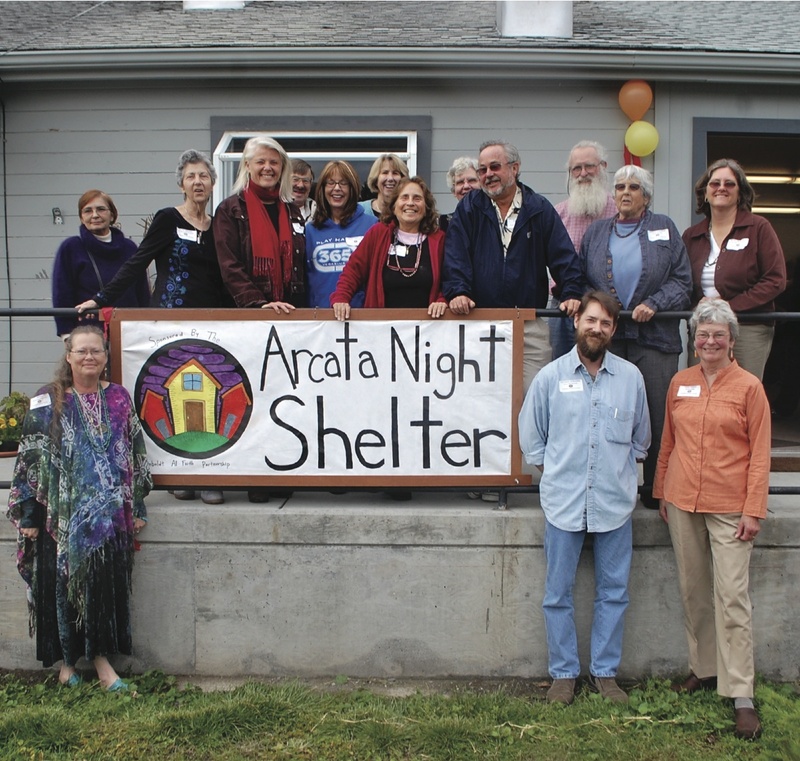 The newly renovated Arcata Night Shelter opened Saturday, Oct. 30 on Boyd Road. The new shelter features expanded facilities for both men and women, a kitchen and even some tranquil greenspace in the backyard. The rooms are well-lit and ADA-compliant. Some 15 to 20 persons may be sheltered at the facility, renovated from the previous, lower-capacity Night Shelter on the same site. Susan Riesel of the Humboldt All Faith Partnership said those who wish to use the shelter must be clean and sober, and must apply early in the day for a spot. Those who need shelter for the night must apply in the morning at the North Coast Resource Center (NCRC), located at the Arcata Service Center on Ninth Street. There, they’ll be screened for any mental health or other disqualifying issues, and told to return at 4:30 p.m. If they come back drunk or on drugs, the reservation is cancelled. Those who qualify are bussed to the site for the night. There, they enjoy an evening meal prepared by one of the member churches in the All-Faith Partnership. In the morning, after breakfast, they are returned to the NCRC. A $575,000 Community Development Block Grant funded the purchase and renovation, which was performed by Pacific Builders. An additional $10,000 grant from the MacLean Foundation paid for the commercial kitchen, while the Sisters of St. Joseph contributed $25,000 for operating funds. 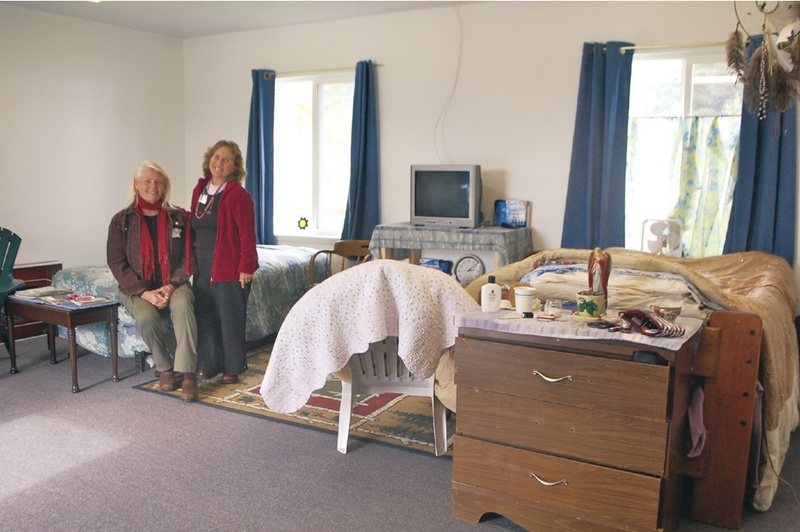 Donate to the Arcata Night Shelter by writing the Humboldt All Faith Partnership, P.O. Box 181, Bayside, CA 95524. For more information, call the NCRC at (707) 822-5008. This entry was posted on Tuesday, November 9th, 2010 at 9:31 am	and is filed under News, Community. You can follow any responses to this entry through the RSS 2.0 feed.